If you want to know more about innovation in HR eg developing some innovative activities in 2012, or just improving your / your team’s ‘HR innovator and integrator competency, perhaps implementing some of Vance’s suggestions, or setting up an internal HR app store, then join me for this webinar on Thursday, 12th January 12 2012 at 4:00 PM - 5:00 PM GMT. This is about the sixth time I’ve had to reschedule this webinar (apologies again for those of you who have tried to book before) but I’ve deliberately rebooked it for before I get too busy after the break – so hopefully there won’t be any problems (and I really will do everything I can to ensure there won’t be). So reserve your webinar seat now at: https://www1.gotomeeting.com/register/178781337. 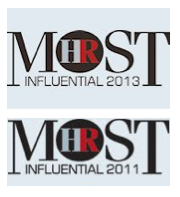 I’ve been included in this article in HR Magazine on HR iphone apps. I write about some of the favourites that I use or have been able to find. I don’t think it’s the best piece of writing I’ve ever done, and I think a lot of that is down to feeling rather less than excited about the HR apps which are currently available. There are a few more apps available for ipads and I think these are generally better, but even here there are still a limited number available. Some provide the same sorts of access difficulties I describe in my article (Workday, Globoforce etc) although one – Peoplefluent – includes a nice demo and a fun training tool (or that’s what my daughter says) – Talentastic. I’m sure we’ll see more of, and improvements in these and other apps during 2012. 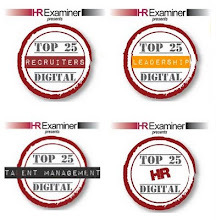 I might even do one myself to give you better mobile access to Strategic HCM!? Supporting my post on innovation yesterday, I thought I’d share with you some of Vance Kearney from Oracle’s thoughts on this topic. Vance and I have been having an off-line discussion about this topic following his presentation at the CIPD conference (which I also blogged on). Although it was an interesting panel, Vance felt that he didn’t get the opportunity to talk about the practical steps that HR practitioners can take to encourage innovation. He’s therefore agreed to let me publish some of our exchange of views. Had I been asked what we practitioners including all those in the audience could do, I would have said encourage the proliferation of shared interest groups and communities around products, services, technologies and processes. Support them with the very best networking and social enterprise tools that you can and also encourage them to meet physically from time to time to share and refine their ideas. Innovation happens when passionate and interested people are encouraged to share ideas with a shared vision and ambition to create the very best. Working together ambitiously and passionately is what drives innovation and HR can assist by making the case for the benefits of the social enterprise at the senior management level. Creating informal professional communities around shared product, technologies or functions and specialties is a relatively easy thing to do. Using blogs, social networking, conferencing tools can bring people together and its best if its done, by those communities, for those communities, rather than something which is imposed or heavily regulated. HR can champion the social enterprise to create innovation, and it does not need to carry a huge financial cost, it can even save money. Informal networking can be very much more productive than formal agenda and powerpoint driven meetings and the cost of the tools can be more than offset by reduced travel costs. Social networking the enterprise is the best way to encourage and create innovation. So there you go. I just thought these points were worth sharing rather than leaving as part of a personal communication – particularly as I totally endorse them! I presented a session on the future of strategic HRM yesterday. Now I’m no futurist – I much prefer to focus on the opportunities that are available to us today, but I think I’ve got a good idea of some of the changes we’ll see happening over the next 5 –10 years (I’m not going to repeat them here – just have a scan through this blog). But of course this is the time of year that everyone produces their predictions for the next one. I’m not going to do much of this either – I never seem to get these right so there doesn’t seem much point. But I do want to single out one thing which I’m sure is going to become more important next year. And this is being more innovative in HR. It’s going to be a tough, tough year – at least for those of us in the flatlining (developed) vs growth (emerging) economies. We cut the fat before the last recession and after a tincy bit of jobless growth, there ain’t much of that left. Trimming further is going to be harder, and require more radical approaches, than before. There’s just a ton of stuff to do eg see Josh Bersin’s predictions which include globalised specialisation in recruitment, glocalisation of HR, integration of recruiting/HR etc, social medialisation of recruiting and in fact all HR activities, holistic engagement, transformed development, agile performance management, strategic mobility, enterprise career development, borderless leadership, flexible use of technology and big data segmentation - all of these are mini innovations in their own right (no wonder Bersin’s additional prediction was for reskilling of HR – the function is going to need it!). Most importantly, no one organisation can (perhaps just the very largest), or should (including the largest), do all of the above. What companies need to do therefore it to understand the future of strategic HRM for them, and then pick the developments from the above list, and other things, that best fit with their own strategic needs. Few organisations are doing this well currently, hence some broader innovation in HR’s approach, rather than just what it does, is required. It’s going to be a tough, but an interesting, year! As well as Learning Technologies, the HR Directors Business Summit just before it, and the Enterprise 2.0 Summit shortly afterwards, there are a few other conferences I’ve already committed to attending / speaking / blogging at next year. The number of women in senior and top management roles is still shockingly small. What must be done to increase the female talent pool and get them into senior leadership positions? How do businesses explain poor retention and promotion of women? What can companies do to retain or increase women’s motivation to lead? What strategies can help overcome invisible barriers? How do you transform a corporate culture and management/employee mind-sets? Future leadership teams will be composed of members of the “net generation”. How do you build, manage and retain leaders who are more mobile and eager to self-develop than any generation in the past? What are their key values and motivators? How should you align corporate strategy with different ways of working and career development? What role can social media play in engaging them in the organisation? What strategies do companies employ to win the loyalty of their high-potential talent? A leading company will be quizzed about how they engage the net generation and help the brightest talent transition into the next executive team. Leadership quality is critical in times of change, whether moving from zero-growth to high-growth markets or managing a major organisational restructure. What key characteristics does the modern leader need to succeed? In a period of upheaval, what behaviours instil trust? What is that drives pattern observed in good leaders: a country’s culture or rather inherent characteristics of a complex organisation? What does this mean for selecting the right management teams for new, alien territories? How do you define and find the intellectual leadership needed for serious organisational change? What are the secrets of leading diverse or transforming organisations? A panel of experts will discuss which leadership behaviours have the best chance to move the business forward in times of change and into new markets. How do you turn your top management into talent leaders? In this discussion, senior management will be challenged on their views of the role of HR and talent professionals as business leaders and influencers. 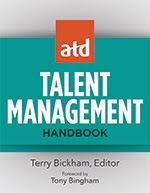 The 2011 Talent Management Summit was undoubtedly one of the best HR events last year, and I’m sure this one will be equally as good. You can get discounted tickets up to the end of this / next month but I’ll also be looking for a couple of HR Directors who read this blog to come along as my guests – more details about this next month. I’ll be talking more about learning at January’s Learning Technologies conference. Where should learning and development fit in an organisation? 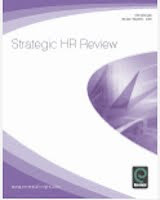 During the Learning and Skills Group Conference in June 2011, Paul Jagger tweeted that L&D needed to break free from HR. 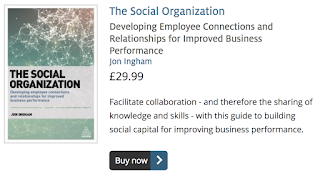 Almost immediately Jon Ingham came back to contradict him: HR is the natural home for L&D. Rachel Roberts, meanwhile, has a different, third opinion. It’s an important debate to have, and we can rely on our three speakers to share their thoughts openly and to kick off what promises to be an interesting debate between each other and with the floor. Matthew H. DeFeo, Senior Vice President Sales, Training and Recruiting, Techtronic Industries, Inc. I think it is more useful to think about learning in these four ways, and to ensure that learning solutions and environments consist of all four (where appropriate). However, the point from yesterday’s post still applies – it’s about creating a portfolio, not managing the percentages. There needs to be an overarching learning strategy too. The model is also useful for thinking about measurements as I think these need to change in nature for each different form of learning too (whilst again, forming part of one holistic approach to learning measurement). Moving from formal to informal measures become less quantitative and objective and more qualitative and subjective. This is just because the learning activities we are trying to measure become less tangible, and the relationships between these and the outcomes and impacts we are trying to achieve less direct and more complex. Similarly moving from individual (or individual within a group) to social, measures become less about something which can be reported, and more about something that has to be discussed – ie more of a basis for conversation. Incidentally, I was involved in some tweeting about this around the #SDDT unconference (another example of social learning) the week before last (see picture at the top of this post). I don’t think there is a problem with this – some things are just naturally best measured in qualitative and conversational terms. But of course, there are things you can do to make them more quantitatively measurable and reportable. For example, technology is one big help. But the type of technology that needs to be used also changes according to the type of learning. Despite some discussion on this, I still believe that the LMS has a vital role in supporting individual, formal learning. I think new media tools like blogging (social media tools which are not of necessity social) probably play an increasingly significant role here, helping to plan and capture the ongoing learning that takes place (a bit like an electronic learning log). But again, all of these technologies need to be integrated together as well. It’s why I’m so pleased that the sponsorship of this blog, previously with Plateau, has been taken over by SuccessFactors, post Plateau’s integration (particularly now SuccessFactors itself is being acquired by SAP which I also do some work for). Plateau gave SuccessFactors an LMS capability and Jambok and CubeTree, recently integrated as Jam, provide the social media and networking capabilities referred to above. So you can do each separate, and the whole, thing. If you want to try the system out, and / or contribute to the research, you’ll be able to get an access code – here – soon (sometime in early January). Have fun!